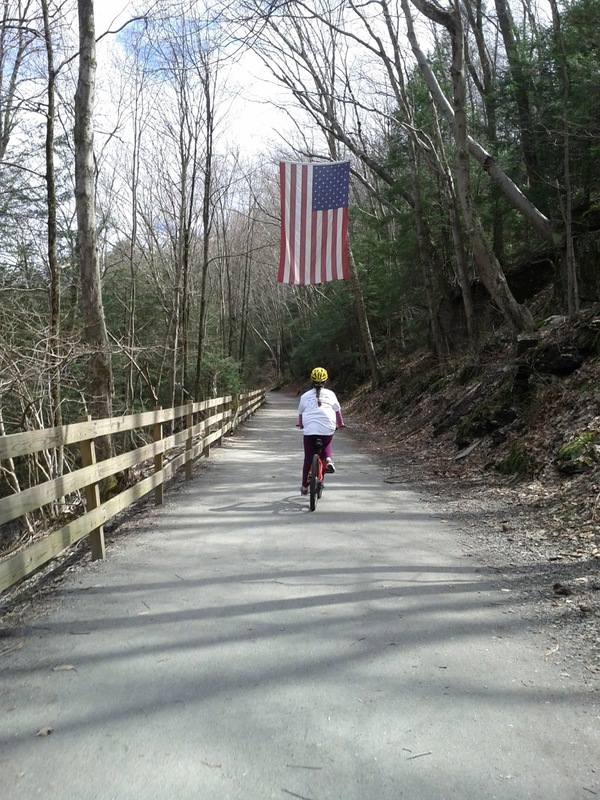 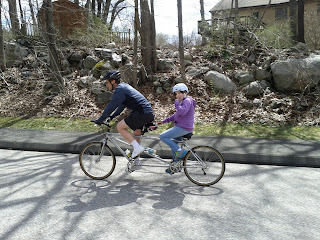 My wife's sister's family was up from NYC on Saturday and we are planning on riding the Bloomin' Metric together. 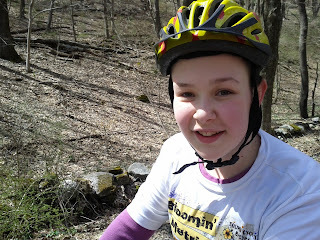 Only this is the first year that my daughter, Katie, cannot ride due to a dancing showcase happening that weekend. 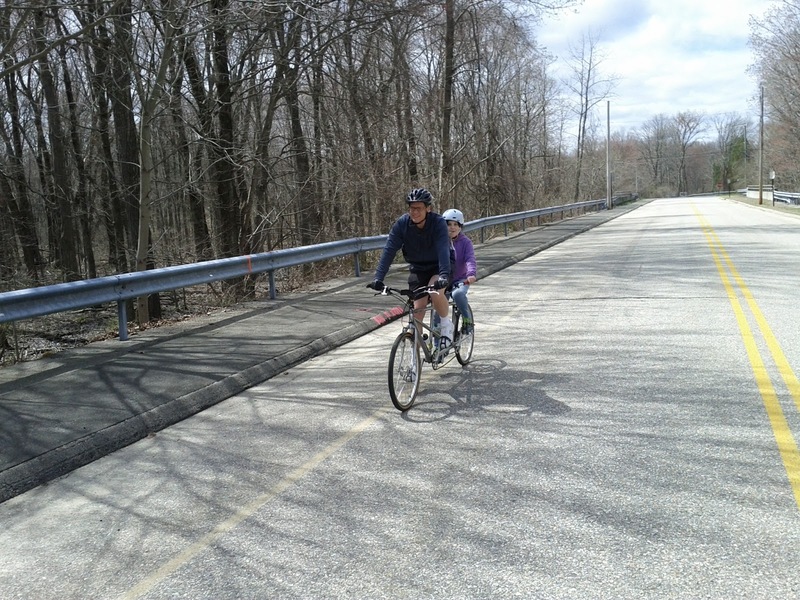 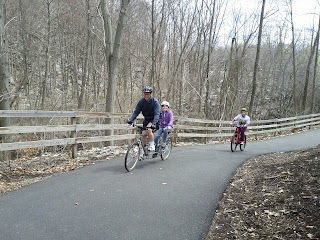 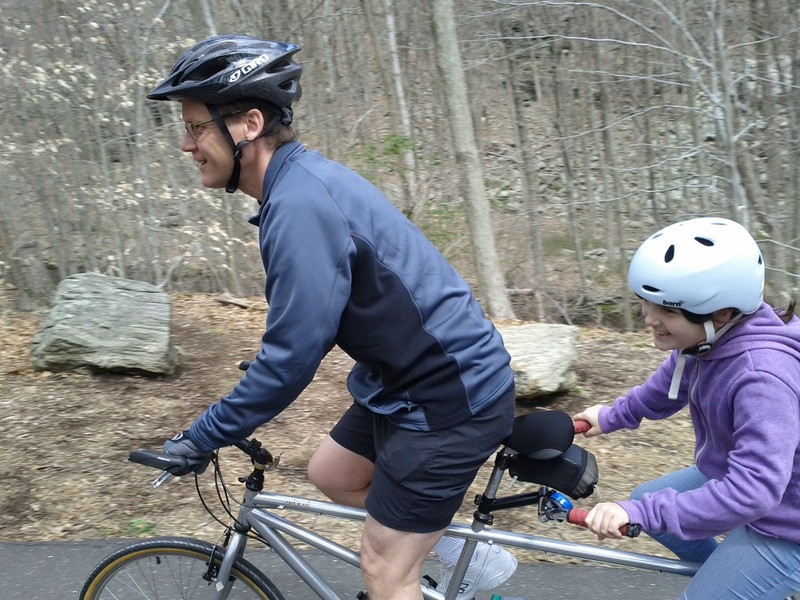 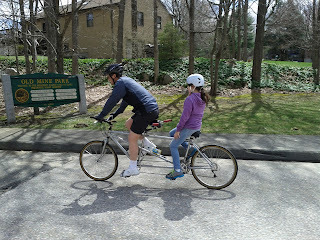 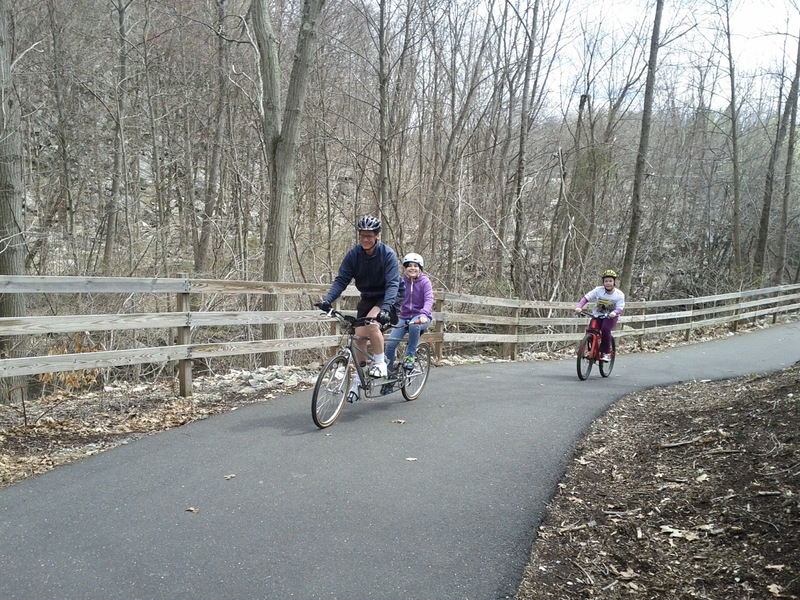 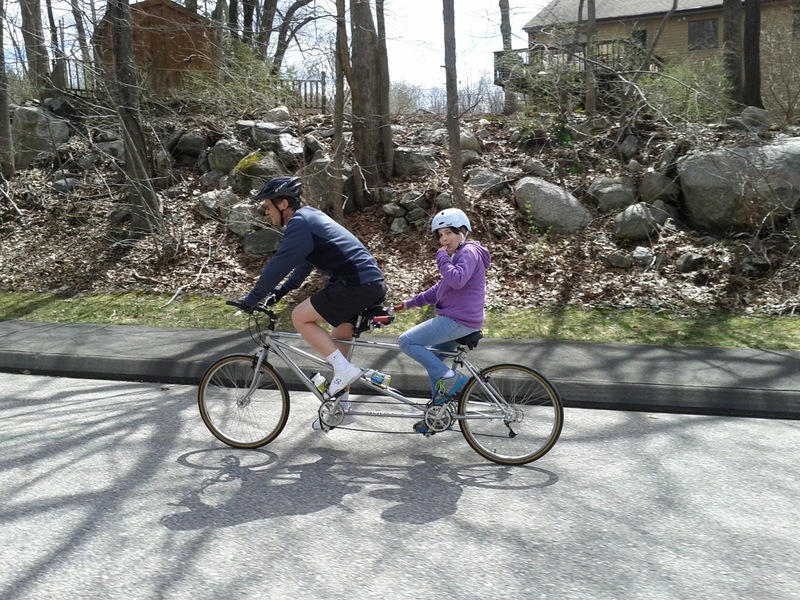 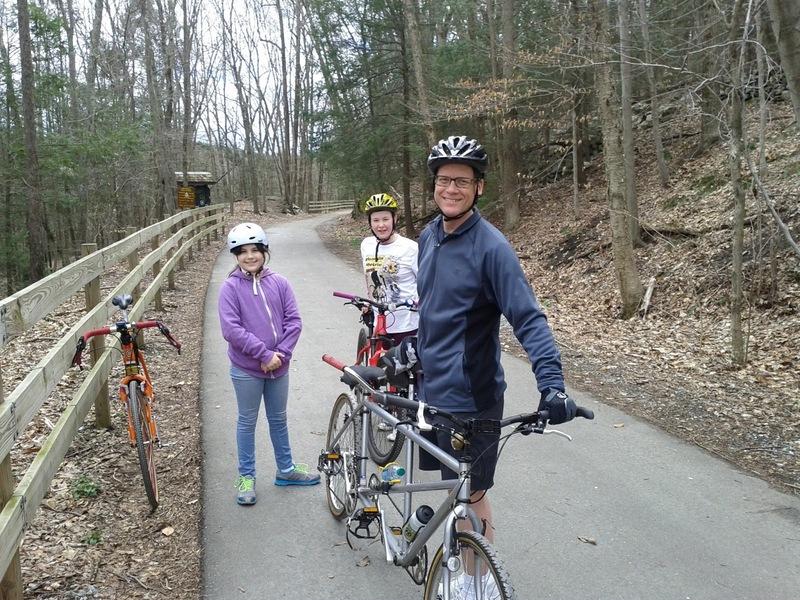 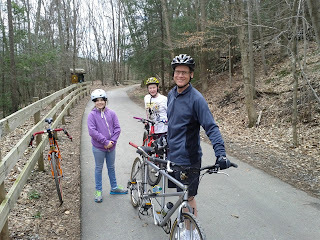 So I offered up my tandem and on Saturday to Will and Julia so they could test it out. 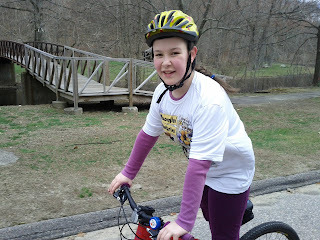 Katie was riding with us on her barely used but pristine Cannondale Chase. Only, she was complaining that see needs a bigger range of gears now. 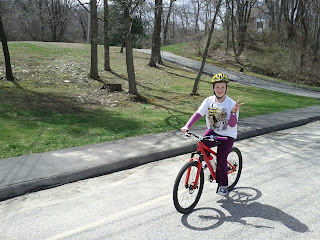 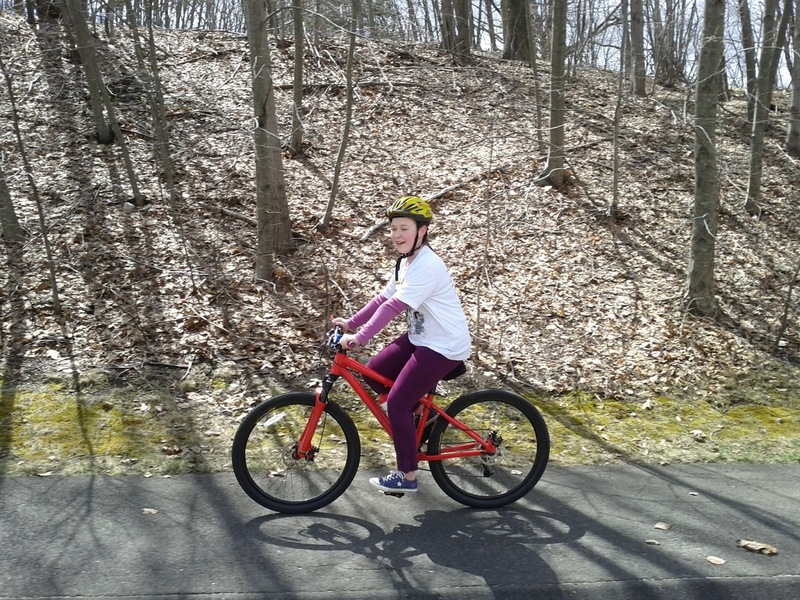 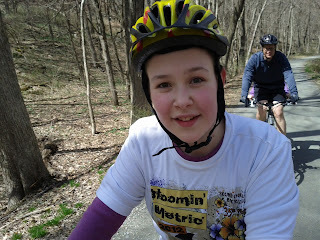 Katie had a great time and wants to ride more. But now it's a matter of finding time to ride!